Our composer of the week is Nikolai Rimsky-Korsakov. He was a Romantic composer of the 1800's from Russia. Rimsky-Korsakov is important because he believed in developing a nationalistic sound to Russian classical music. This means he used Russian folk songs, dances and legends to make his music sound Russian. Nationalism was a type of patriotism that began in the 1800's and was expressed throughout the world in all the different fine arts. The patriotic songs we sing in assembly are an example of nationalism. Rimsky-Korsakov's works are for orchestras to play and some are operas. 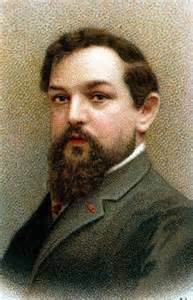 His best-known works include the Russian Easter Festival Overture, Capriccio Espangol, Procession of the Nobles, the orchestral suite ﻿Scheherazad﻿e, and Flight of the Bumblebee. 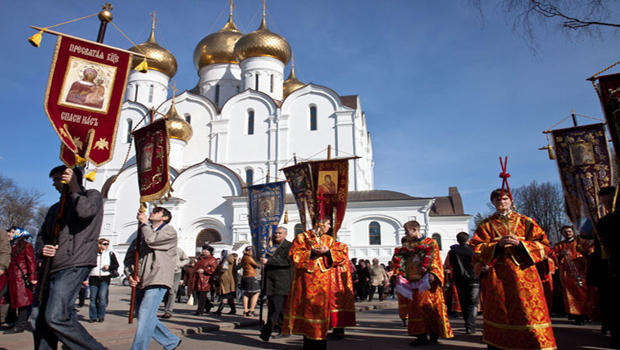 Our music example for today is the Russian Easter Festival Overture, composed in 1888. This music is an example of Russian nationalism because the melodies in it were chants sung in the Russian Church, so the listeners would know them. The 15-minute overture is a depiction of Easter morning in a cathedral thronged with people from every walk of life. From the musical sounds of morning birdsong, to the sudden rising of the sun, to the brilliant last minute, full of bells, trumpet blasts, shimmering violins and crashing cymbals, Rimsky-Korsakov knew this music would pull on the heart strings of his fellowmen for the Russian Easter Holiday. Nationalism - a movement that began in the 1800's to use stories, legends, dances or geography within a country to make music sound like it comes from that particular country. Orchestral suite - a suite is a small collection of short compositions that have a common theme, such as a dance suite; 'orchestral' means it is played by an orchestra, rather than a small group or soloist. Overture - a type of program music. A short composition for orchestra (about 12-18 minutes) that is played before the curtain rises at an opera, ballet or musical, to help establish the mood of the performance. Concert overtures are written to be played on a concert stage purely for listening enjoyment. Youtube video - Russian Easter Festival Overture - the last 3 minutes. 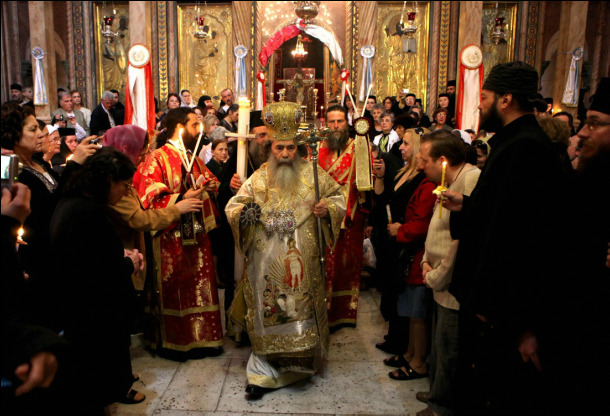 Recession of the priest from the cathedral. 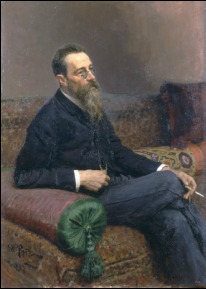 Rimsky-Korsokov sometimes wrote music that used instruments, melodies, harmonies and rhythms from faraway lands, a music technique known as exoticism. This is similar to some of the music we heard from Tchaikovsky's Nutcracker ballet, where there were dancers from Spain, Arabia, and China. Like the French Impressionist composer Claude Debussey, Rimsky-Korsokov also attended the great Paris Exhibition, which was like today's World's Fair. There he heard musicians from faraway places and he adapted those sounds to his own works. 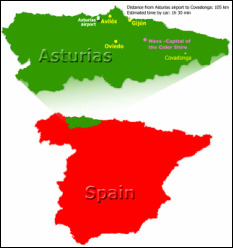 Capriccio Espagnol is the title for a five-movement ﻿orchestral suite based on folk melodies from Asturias in northern Spain.﻿ Composed in 1887, the music is praised for its orchestration. Rimsky-Korsakov wrote music perfectly for each instrument's unique tone color. The music features a large percussion section and many speci﻿al﻿ techniques,﻿ such as in when the violinists, violists, and cellists are asked to imitate guitars. 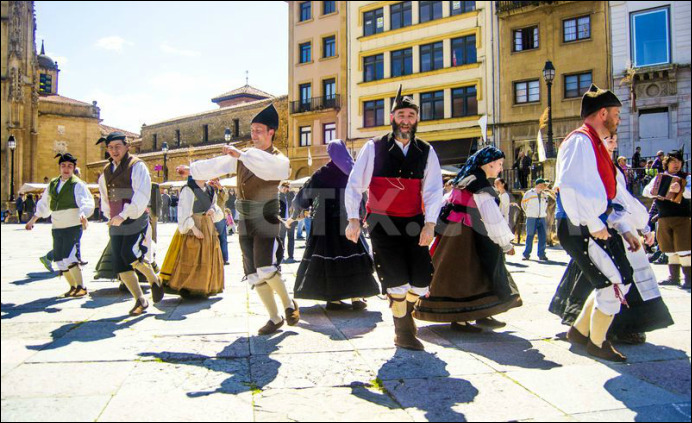 The first movement, called "Alborada", is a festive and exciting dance to celebrate the rising of the sun. 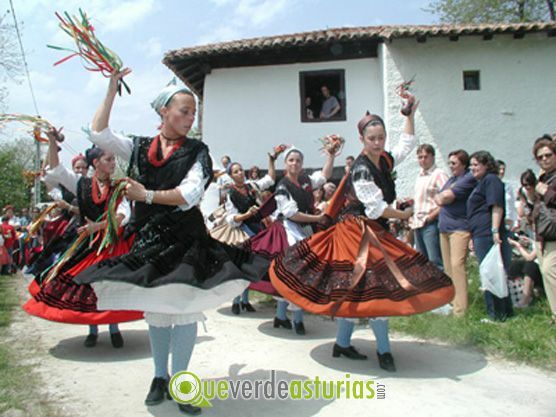 The lively rhythm and playful clarinet solo evoke a musical image of Spanish dancers. Exoticism - a musical trend that developed in the 1800's that uses melodies, rhythms, harmonies or instruments from faraway places to make the music sound exotic. Movement - a short composition of music contained in a larger work, such as one dance from a 5-movement dance suite. Tone color - the unique way an instrument or voice sounds that makes it recognizable from others. Orientalism - a term for the depictions or imitations of Middle Eastern and East Asian cultures. These depictions are usually done by artists and writers from Western cultures. To our ears, music from Japan, India or Arabia sounds exotic. But if you lived in one of those countries, would American jazz and cowboy songs sound nationalistic to you or would it sound exotic? 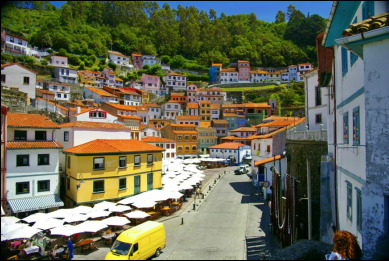 Exoticism is the musical expression of faraway lands and cultures. But in the visual arts and literature, the term is known as orientalism. 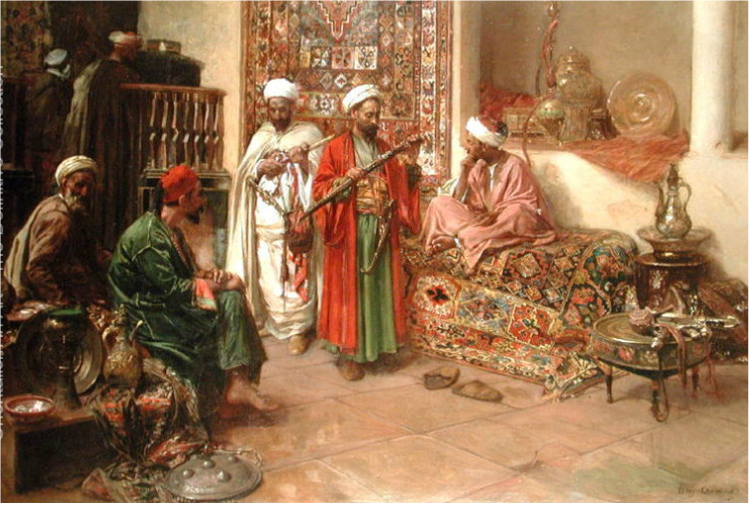 Below are pictures illustrating orientalism in artwork. 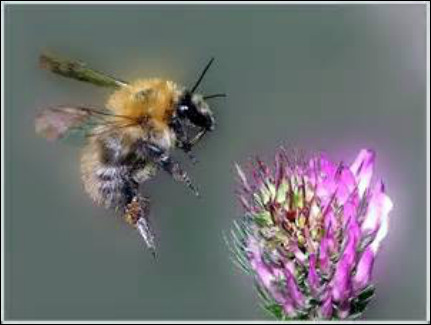 Listening Example: "Flight of the Bumblebee"
As a boy, Rimsky-Korsakov longed to be in the navy. So at age 12, with the help of his father, he joined the Russian Imperial Navy and enrolled in school for Mathematics and Navigational Science in St. Petersburg. As a teen, he became seriously interested in classical music after attending operas and concerts. He realized his primary interest was composing music. He composed while on navy cruises, and he met with other Russian composers who helped him receive the training he needed. 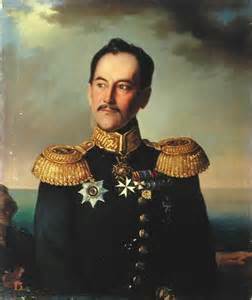 Rimsky-Korsakov was Chief-Inspector of Bands of Imperial Russian Navy from 1873 to 1884. He later resigned his successful naval career to devote himself entirely to his music. 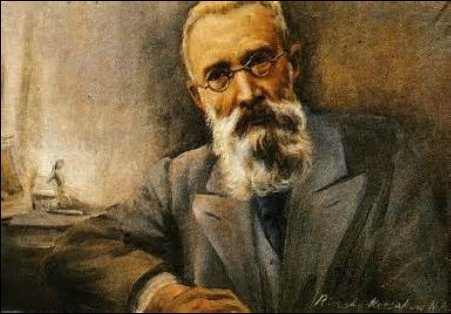 Rimsky-Korsakov was especially interested in writing operas and wrote several based on Russian folk legends and fairy tales. One of these is ﻿The Tale of Tsar Saltan written in 1900﻿, which displays characteristics of oriental exoticism. A magic Swan-Bird changes a prince into an insect so that he can fly away to visit his father. The music for this scene is called "Flight of the Bumblebee", our listening example for today. It is recognizable for its frantic pace, with nearly uninterrupted runs of ﻿fast notes﻿ as close together as they can be, called "chromatic notes". It is not so much the ﻿pitch﻿ or range of the notes that challenges the musician, but simply the player’s ability to move to them quickly enough. Because of this, it requires a great deal of skill and many hours of practice to perform "Flight of the Bumblebee". Chromatic - moving up or down the scale by half-steps, the closest interval our ears hear in music. On the piano keyboard, moving from every white and black key next to each other. In our culture in the Western Hemisphere, the smallest distance between two pitches we can hear is a half-step -- DO, DI, RE, RI, MI, FA. But in Eastern cultures, they can hear and sing "micro-tones" inbetween half-steps! That is why Eastern melodies sound different from ours - they use more notes! Youtube video - "Flight of the Bumblebee", full version as originally written, performed by an orchestra. (3:38). Our listening example for today is Scheherazade, a symphonic poem composed by Nikolai Rimsky-Korsakov in 1888. A symphonic poem is a type of orchestra program music that has written, descriptive titles for each contrasting section. The sections of Scheherazade bear titles such as The Sea and Sinbad's Ship, The Young Prince and Princess, and Festival at Baghdad. 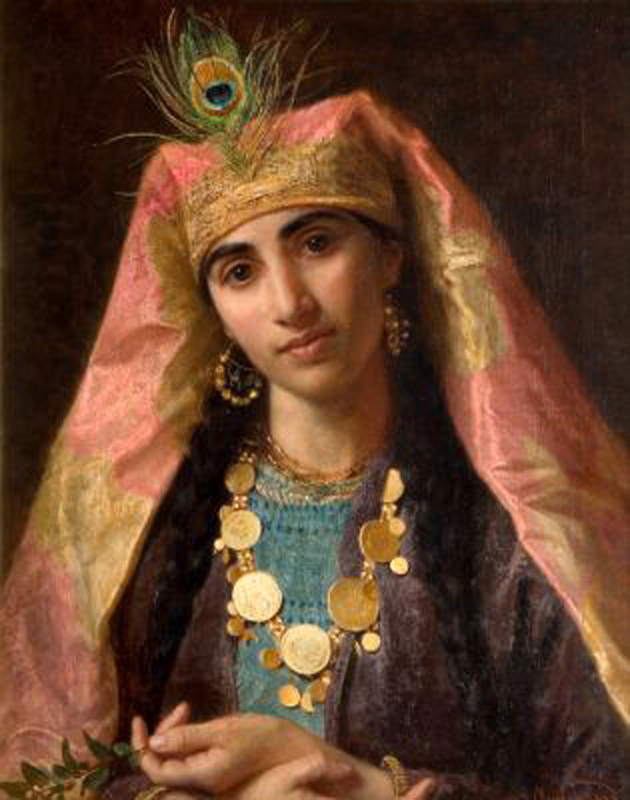 Scheherazade is based on the tales of One Thousand and One Nights, sometimes known as The Arabian Nights and it is considered Rimsky-Korsakov's most popular work. This music combines two features typical of Rimsky-Korsakov and Russia in particular: 1) dazzling, colorful use of instruments, and 2) an interest in Eastern cultures, an important part of Russia's history. We learned that musical expression of faraway lands is called exoticism. 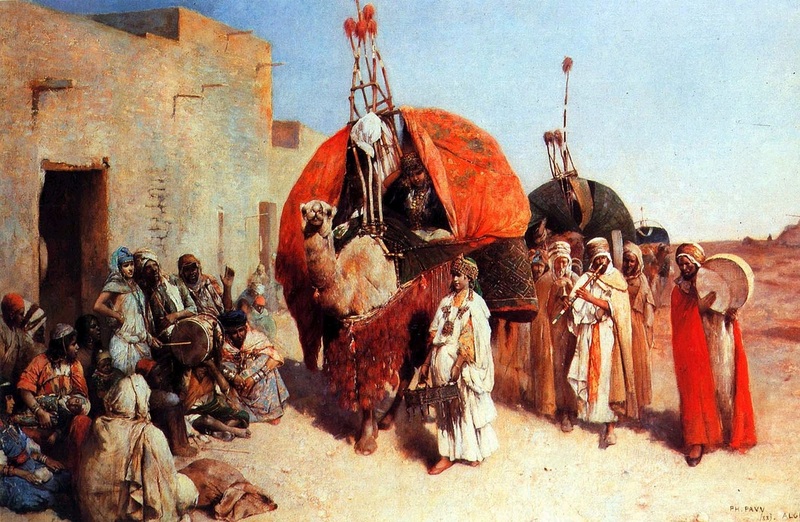 In the visual arts and in literature, these depictions of cultures are called orientalism. 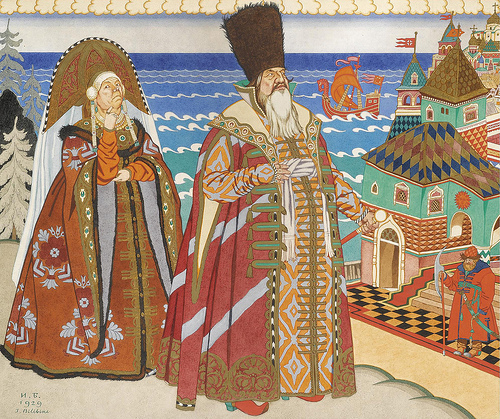 Rimsky-Korsakov used exoticism to create an air of mystery and fairy tale adventure. He used a technique called "leitmotif" [light-motif] to represent the character Scheherazade. A solo violin plays a haunting, Middle Eastern melody. The music for the domineering sultan sounds more grim and forceful. 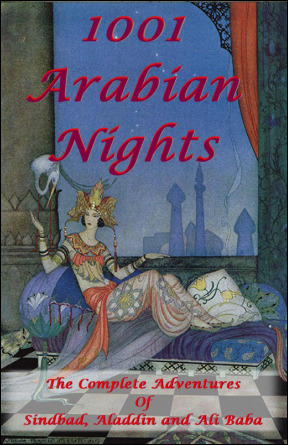 Scheherazade saves her life by entertaining her lord with fascinating stories for one thousand and one nights. The special tone colors of instruments, fresh, charming melodies, and mild oriental flavor spark the imagination of the listener. Symphonic poem - also called a "tone poem", a type of program music about 15 minutes long that has sections with descriptive titles. The music is written to suggest images to the listener, such as 'a bubbling brook', and 'river theme'. Tone Color - the unique sound of an instrument or a voice that makes it recognizable from others. Example: A trumpet has a loud, bright tone color. A clarinet has a warm, hollow tone color. 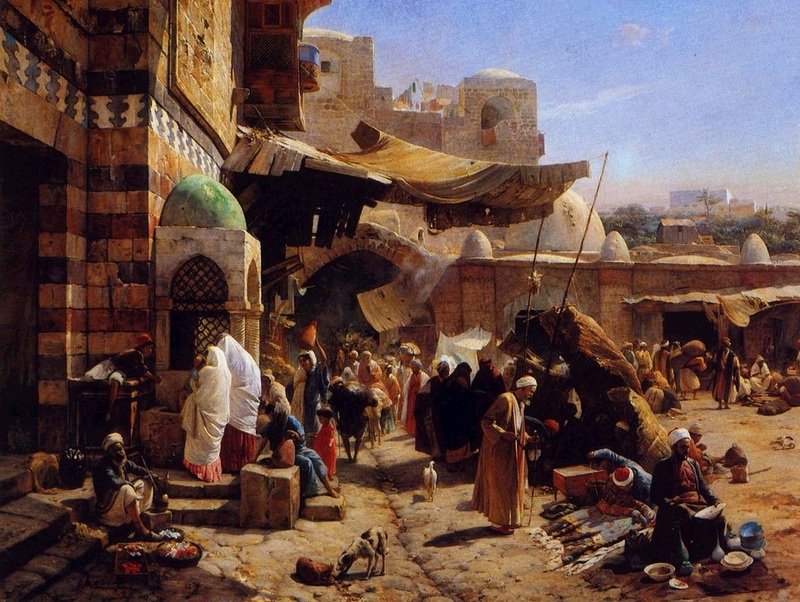 Orientalism - the portrayal of faraway lands in visual art, literature or architecture. 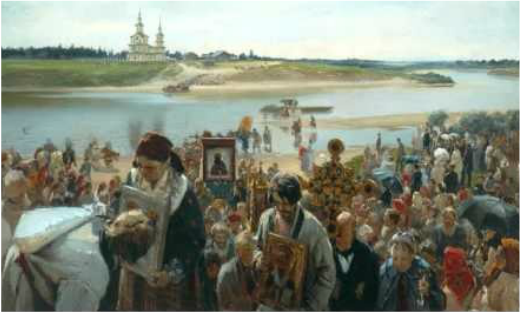 Listening Example: "Procession of the Nobles"
Our listening example today is “Procession of the Nobles” from Rimsky-Korsakov's opera, Mlada, produced in 1892. Mlada is different from other operas because it is half-opera and half-ballet, and very complex. 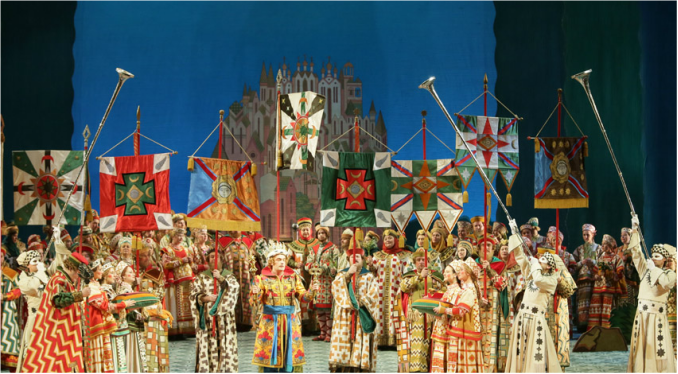 Set a thousand years ago in an imaginary kingdom, Princess Mlada has a role that is danced rather than sung. 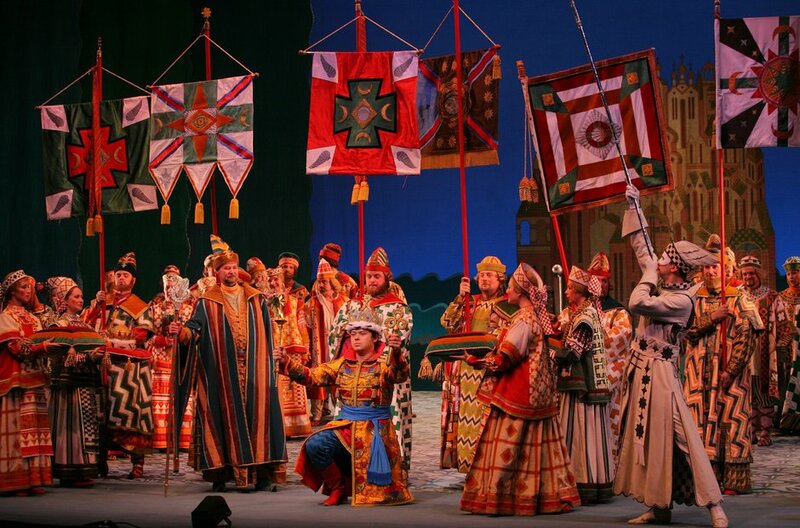 The most familiar music is the "Procession of the Nobles", orchestra music that introduces Act 2 in the opera. The music begins with the energy of a festival of tradespeople. The music bursts to life with a rousing brass flourish, soon followed by the processional music, a noble sounding tune. This is music of color and energy. In the opera it is punctuated by shouts from the crowd at the festival, and closes with a rousing march theme. "Procession of the Nobles" is a popular work that is played by high school bands as well as by professional orchestras. Rimsky-Korsakov’s music demonstrates that he was a master orchestrator and knew how to write for instruments in a way that makes his music sound unique and special. 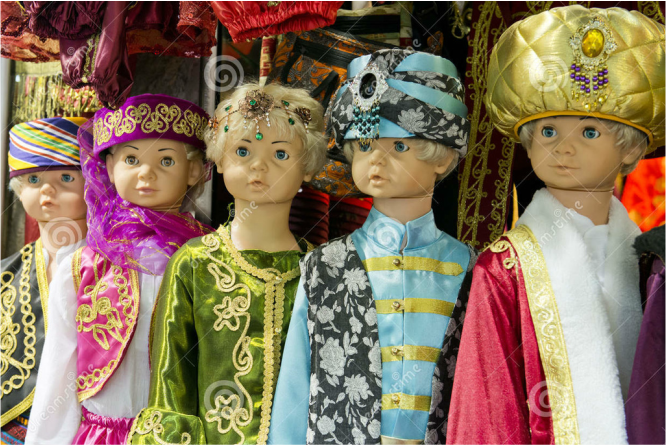 Procession of the nobles from the costume shop.